Looking to increase you or your organization's visibility, while supporting a good cause? 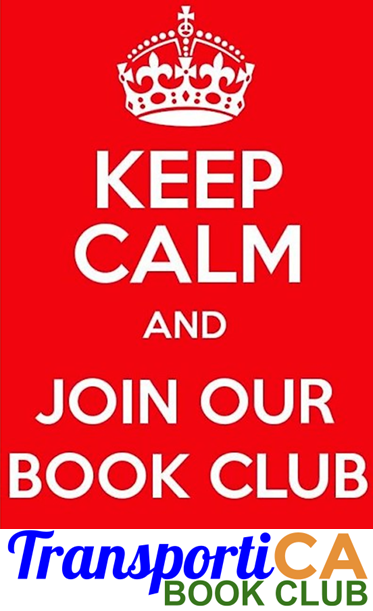 TransportiCA has available monthly sponsorship opportunities for like-minded organizations on our Book Club website and Twitter feed. For $350.00 (U.S.D. 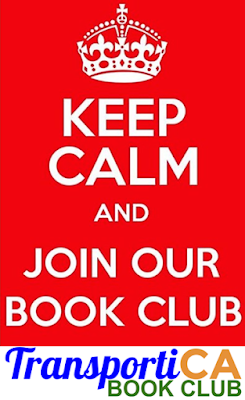 ), you or your organization can sponsor a month of TransportiCA's Book Club, with all Book Club pages and related Tweets acknowledging your generosity. Besides the hundreds of daily viewers to TransportiCA's website and 1,500+ daily Twitter impressions (30-day average), your message also reaches our partners and followers throughout the world. Sponsors also receive a copy of the month's Book Club selection signed by its author. TransportiCA encourages organizations and individuals with like-minded values and interests in sustainability for sponsorship, and can provide analytics displaying the sponsorship's impact. TransportiCA will not - under any circumstances - provide names, accounts, and any other personally identifying information (PII) to sponsors. As well, 5% of the sponsored amount will automatically be donated to the nonprofit CarbonFund, and another 5% to Reading is Fundamental - a national nonprofit organization dedicated to helping children improve their literacy and own books. Both donations will be done in the sponsor's name, allowing them full use of the associated tax deduction. For additional information, please feel free to contact TransportiCA bookclub[at]transportica.info. Thank you for your time, and we wish you all the best!